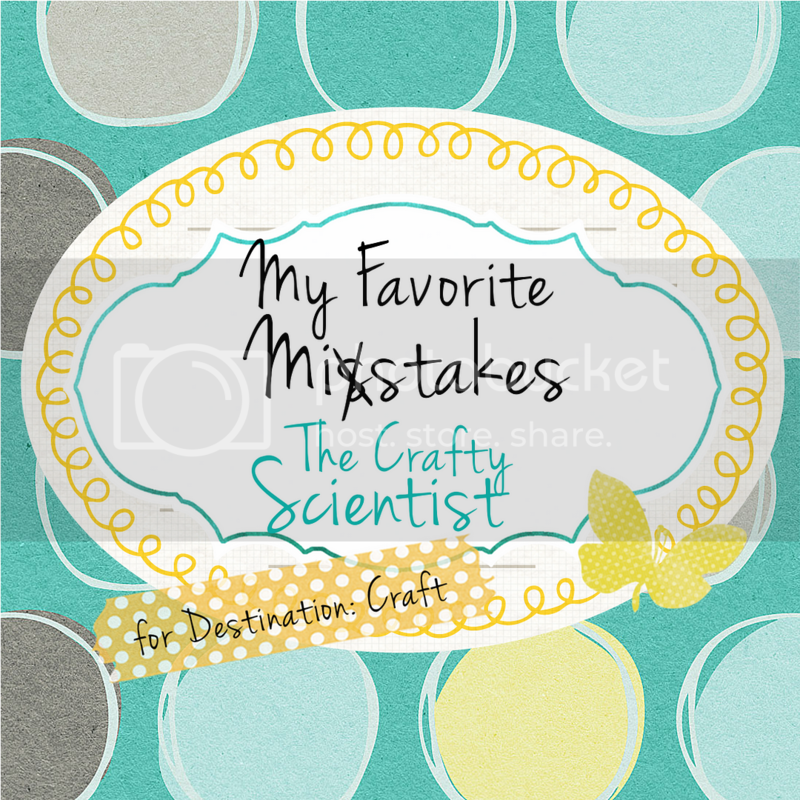 The Crafty Scientist is another one of those blogs that I stumbled upon & loved it from first sight. I know Mel acted surprised when I asked her to be part of this series but she has to know what an awesome blog she has!! I'm super excited about her post, so read up!! 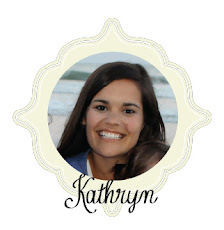 I'm SOOOO thrilled that Kathryn invited me to be a part of this awesome little series here at Destination: Craft! This is a RIDICULOUSLY talented group of ladies and I'm flattered to be a part of it! 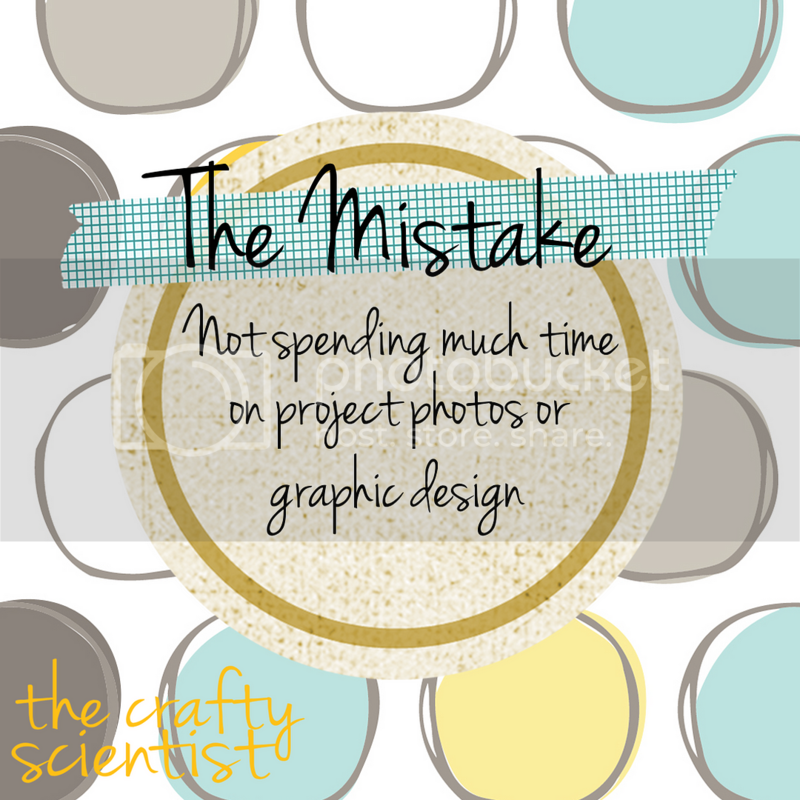 I'm Mel (that's me above) and I blog over at The Crafty Scientist. I love sharing my DIY and craft projects (which I'll have even more of now that I'm getting settled into a new home in Maryland) there as well as some photos from my travels and of my super-cute puppies - Max the black lab + cocker spaniel (on the left above) and Bella the pug + chihuahua + yorkie (on the right above). So without further ado, I present to you my top 5 favorite blogging mistakes and how to do better than yours truly! This is mistake numero uno for a reason. 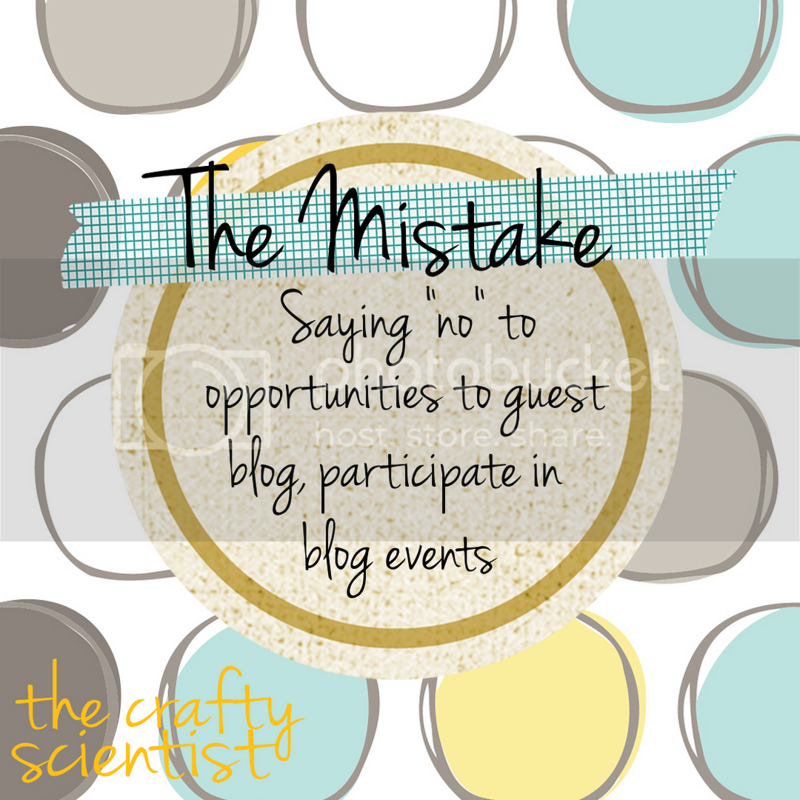 This is SOOOOOO important and can make such a HUGE difference between an okay blog and a great blog. 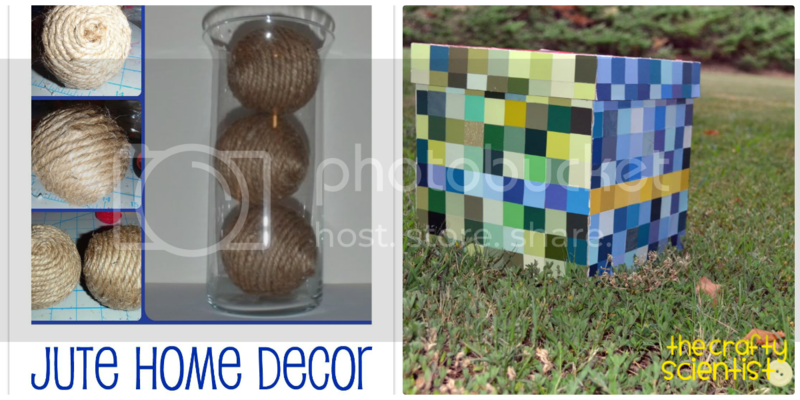 Learn GIMP or PicMonkey or both or something like that and create a fun, unique blog design, button, social media icons, etc. You don't have to make it perfect or super-difficult. Just a few little touches to make it "you" and make your content easy to read and the important information easy to locate. 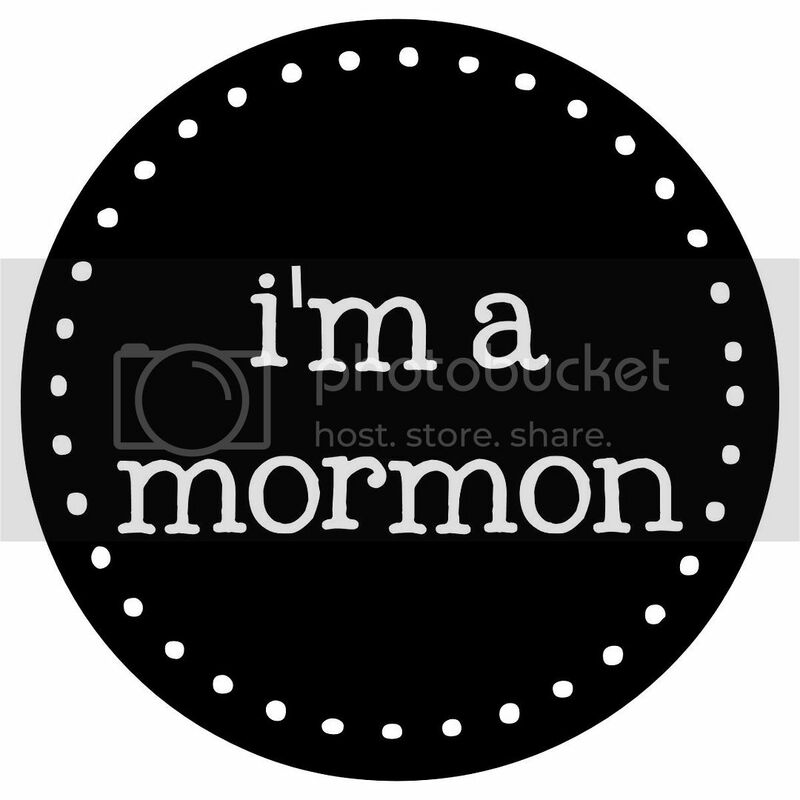 If you've made it through this far in the blog post, you might have even decided to read all this content because you liked the graphic design, "sticker" labels of my mistakes and then you decided to read on (I'm betting that happened to at least a couple people.... or really hoping y'all prove my point)! You can see just taking the box outside to get some better light really helped and by that point I'd learned to watermark my photos and get a better, cleaner background. Full confession: I had gotten a new camera in between, but I know that's not the only difference. For more advice and guidance on this stuff, I wrote a post about blog design here with tons of links to resources and I keep a Pinterest board of links I find useful for learning about photo editing and blog design. If I can learn enough to make what you see on my blog, I promise anyone can learn! Someone once told me that I should be afraid to say "yes" to opportunities. Even if I wasn't sure what I'd do or how to do it, I could figure it out and should just ask questions. But that if I don't volunteer until I have it all planned out, I'll miss out on a lot of opportunities - many of which I wouldn't even realize I missed because you never know where saying yes could take you. And while I try to stick to this in my professional life, I think it's also important in my blogging life. I'm not saying take on every advertiser and at some point, it is VERY important to say no to things that aren't true to you and what you want your blog to be about. However, when you're getting started, don't be afraid to say you'll guest post even though you aren't sure what kind of project you'll share. And say yes to blog events that are being lined up because you'll get to meet some crazy awesome bloggers and discover lots of new ideas! 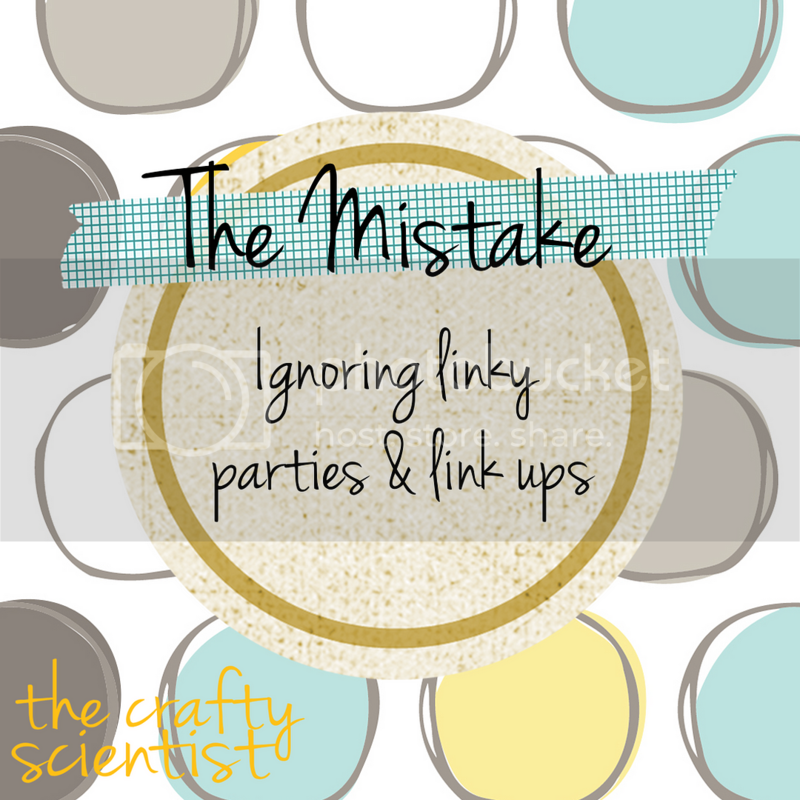 Don't skip the linky parties! They seriously get you tons and tons and TONS of traffic and new readers. And that's just what happens from linking up... you could also get featured which could lead to TWO TONS of traffic and new readers/followers/commenters. I know there are lots of bloggers out there that have lots of rules about the parties - commenting on two blogs, linking up to their specific blog post in your specific post, etc. - and if that makes you uncomfortable, look for some of the "anything goes" type parties at first. I think as long as you make a good faith effort to do what the blogger asks, you won't have any problems. Leave a few comments and you're golden! Don't be afraid of the "big" or "famous" bloggers that you really admire! I was so afraid to comment on some of their blogs because I just thought they were so famous and got so many comments that mind wouldn't matter. Turns out that's not true and most really appreciate it! A lot will email you back/reply to your comment to say thank you and that's such a fun part of blogging! You never know who will write you back! If you're reading this and made it this far, you probably don't need to worry so much about this, but I still want to point you towards some other amazing tutorials and series of advice and ideas for improving your own blogs that I love and wish I had discovered earlier in my blogging. For example, there's "Blog Better" from Shrimp Salad Circus, Blogging Advice from Shannon at Madigan Made, Blogging Resources from Crafterminds, this series on Blog Growth from C.R.A.F.T. There are also some popular tutorials that are popular for a reason. I can't over-emphasize the importance of making sure you're not a no-reply Blogger (so you can get people to email you back and respond to your comments and have a fun dialogue - this is important even if you have already fixed this problem... read more here), get rid of Captcha on your comments section (seriously, I cannot get those things right and I really do skip over commenting because of that... it's just awful), One post that really covers this and I HIGHLY encourage you to check it out (if you haven't already) is this "4 Mistakes Bloggers Make" from Crafterminds. This is some advice you might not have seen, but if everyone followed these rules, blogland would be much happier! Other highlights include this 10 tips to improve your blogging from Making Lemonade, and 10 tips from Always in Wonder. So there you go - my 5 top 5 mistakes and what I've learned from them and how you can do better. Hope this helps you in your blogging and if you have any questions, feel free to ask away and I'll do my best to help! Don't forget to visit me over at The Crafty Scientist and a HUGE thanks to Kathryn for having me over! This a great blog post! Very helpful. We're definitely working out the few kinks we have with our blog being relatively new and all. Love from your newest GFC and Facebook follower, Whimsically Homemade. Thanks a bunch! I'm a new blogger, so advice like this definitely helps. These are great tips! 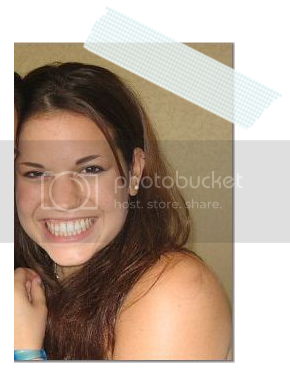 The pictures are a huge deal and picmonkey definitely helps! Speaking to the big timers can be intimidating, but they're a wealth of knowledge so it's worth it! I agree to all of the above! Thank you for the post. Awesome advice! Thanks for sharing. I'm trying to get better at pics. I have a LOT to learn...but they've already improved a ton from where they used to be and it's SO true. Pics make a WORLD of difference! Great advice from a great blogger! Thanks for the great advice! I am really trying to grow my blog so this is great!